Seedstars World organized it’s GCC event yesterday in Bahrain where 12 startups from Saudi, Oman, UAE & Bahrain pitched in front of judges. All of them were fighting to win a ticket to Seedstars Annual Summit 2016, which will bring the best seed-stage startups from all around the world to Switzerland where they will pitch for a prize of upto $1 million. The 12 startups were shortlisted by a jury who eventually also judged their pitches yesterday. It was comprised of Meghan Warner, Seedstars’ MENA Associate, Yasin Aboudaoud, Chief Development Officer at Brinc, John Kilmartin from Economic Development Board of Bahrain, Trey Goede from Aramco Entrepreneurship Ventures & MBC Group’s Mariam Farag. Every startup was given a chance to deliver their 5-minute pitch and following 5 minutes for questions by the jury. After listening to pitches of all the twelve startups, judges selected the following two winners who will represent GCC at Seedstars Summit 2016 in Switzerland. Dubai-based Junkbot won the title Best Seedtars GCC Startup. Co-founded by Ehteshamuddin P. A., the startup develops DIY tool kits and tutorials that enable children build robots and other devices from waste. The children can create working robots from different households objects like plastic bottles, coffee cups, wooden spoons, and cardboards. The robots can be programmed to perform different functions. In the process, children learn core STEM concepts of analytical thinking, problem-solving, prototyping, lateral thinking, and building. Founded in 2014, Junkbot currently sells two versions of its kits, priced at AED 299 & 499 (USD 81 & 136). WNNA from Bahrain was the winner for Most Promising Seedstars GCC startup. Co-founded by a former Microsoft employee Ali Mohsen & in 2016, WNNA is an AI powered contextual search that provides personalized recommendations to users based on their location, intention, prefrences and behaviors and a lot of other factors like weather, time, trends etc. The startup offers user to look for these personalized recommendations through its web and mobile apps. WNNA utilizes Big Open Data and the Semantic Web to offer users an access to contextual information with a very intuitive and simplistic interface to help them take their daily decisions such as what to eat, where to find the nearest ATM or gas station or to find nearby jobs based on their interest and take relevant actions. Within six months of its launch, WNNA was able to reach 35,000 users across its apps and trended multiple times on App Store & Google Play Top Charts. It currently has over 45,000 users. 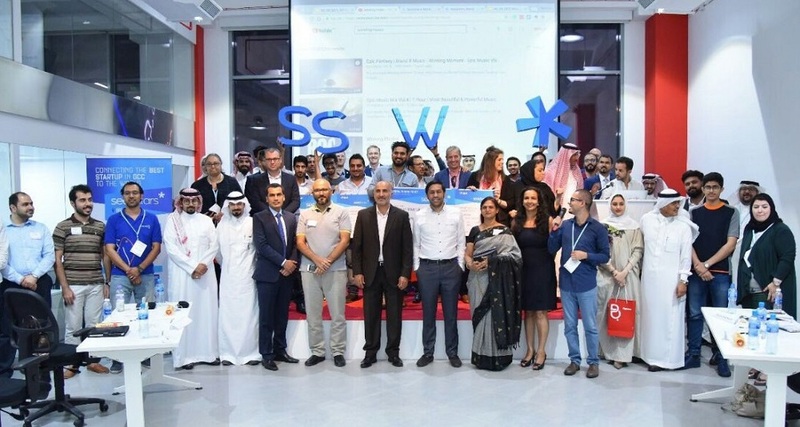 Bahrain-based Glare that uses machine learning with realistic simulation to help users enhance their public speaking skills and Duba-based Bulkwhiz, a bulk grocery ecommerce platform powered by AI were the runners up. Saudi homemade food platform Mathaqi won the public choice award. Other startups that were shortlisted for the competition were Fish.me, Khadamaaty, Sprent, Al Rawi Media, Hadaya & Eshipsol. The event was organized with the support of local host CH9 and patronage of H.E Zayed Bin Rashed Alzayani – the Minister of Industry, Commerce and Tourism.